FIESTA DANGLING POTS by Summerfield Terrace home decor, jewelry, decor, decorations, electronics, fountains, floor mats, art glass, vases, garden essentials, fireplace screens. 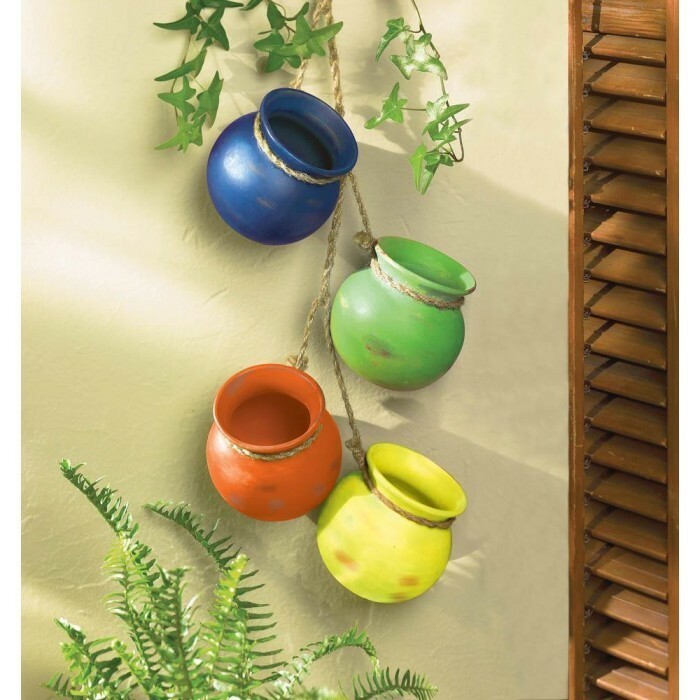 Four brightly colored terra cotta pots dangle from braided rope to brighten up your wall, indoors or out in the garden. These vibrant blue, green, orange and yellow pots feature worn finishes to make them look like vintage treasures. Material(s): TERRA COTTA. Weight 1.9 pounds. Dimensions 3.75" x 3.75" x 23".